The man who would be king or at least Il Duce should be locked up as dangerous fascist enabler just to make money and be his version of murderous cool! 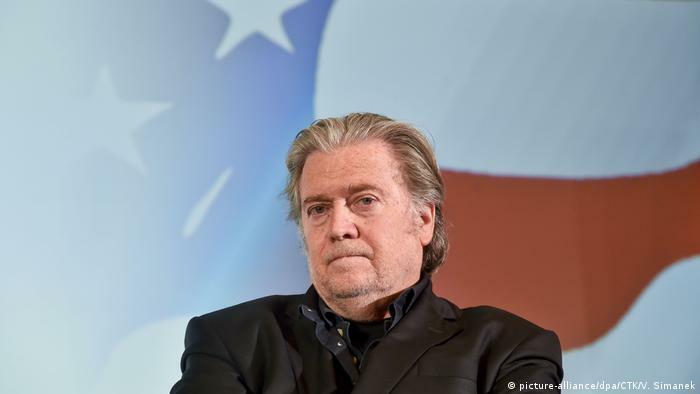 Italy’s far-right Interior Minister Matteo Salvini has joined with similar European elements in US former-presidential adviser Steve Bannon’s Brussels-based Movement. Their focus is on next year’s European elections. Every time every four years, the debate on elections starts and end like fireworks igniting in the sky and falling in pieces to nothingness. Each time we debate whether Palestinians should participate in the elections of the municipality . and every time a stubborn like resistance is the master of the situation. Why is this resistance to Palestinians participating in what seems to be a natural ABC of the miserable life of Jerusalemites? An ABC to what may appear to solve or in a way help resolve the frustrations Palestinian live in Jerusalem with all the restrictions, obstacles, violations and systematic attempts to get rid of the people of this city. The ABC in response is, this will mean a legitimacy of the current municipality. It will mean that we Palestinians are legitimizing this capital of Israelization. However, we are paying taxes; we receive services why not be involved in the system? Hurt children and families first to get your way… Trump Doctrine. President Donald Trump has ordered that $25 million earmarked for the care of Palestinians in East Jerusalem hospitals be directed elsewhere as part of a review of American aid, a U.S. State Department official said on Saturday. Amazon is a classic monopoly operator – using market position to control who can stay in business and on what terms. AT&T, American Standard Oil, Sears, A&P, Walmart, MG and US Steel all “fixed/rigged” the market until anti-trust broke them up or self-stupidity made them miss the next boat or wave. With a single scholarly article, Lina Khan, 29, has reframed decades of monopoly law. Trump has a thing for hurting children and families… to get his way. The Trump administration decided to significantly cut U.S. support for hospitals in East Jerusalem that serve the city’s Palestinian population, Palestinian from Gaza and West Bank according Haaretz Israeli newspaper. These hospitals were supposed to receive more than $20 million according to the foreign aid budget approved by the U.S. Congress for the current year, but the Trump administration decided to cut the funding in its entirety. A State Department official told Haaretz on Thursday that this decision is part of the administration’s broader approach of cutting Palestinian aid and investing it in other priorities. The administration deliberated for a number of weeks whether or not to include the East Jerusalem hospitals in its budget cut, since some of these hospitals are supported by influential Christian groups in the United States. The budget cut could cause harm to at least five hospitals in East Jerusalem, including Augusta Victoria hospital near Mt. Scopus and the St. John Eye Hospital, which is the main provider of eye treatments for Palestinians in the West Bank and East Jerusalem. There was indication of the influence of Christian groups supporting these hospitals earlier this year, when congress approved the Taylor Force Act, which put severe restrictions on U.S. funding for Palestinians. The law included a special and specific exclusion for these hospitals, which was initiated by congress after some of the powerful Christian organizations supporting these hospitals had lobbied. The lobbying effort, however, did not influence the Trump administration’s budget cuts. Dave Harden, a former U.S. official who was in charge of USAID in the West Bank, warned on Friday that the decision could lead to the “collapse” of Augusta Victoria hospital. The hospital and others in East Jerusalem serve not only the city’s Palestinians, but also Palestinians from Gaza and the West Bank, including cancer patients and children. Wannabe Il Duce! and A-hole of Italy! Matteo Salvini, Italy’s interior minister and populist leader, has met Steve Bannon and joined the anti-European establishment group, the Movement, founded by Donald Trump’s former chief strategist. “He is in!” tweeted Mischaël Modrikamen, the Belgian politician and co-founder of the People’s party, who is also a member of Bannon’s group which unites Euroscepticand populist forces. It’s only crazy until you do it.